Mining has well and truly entered the world of big data. Nearly every aspect of the mining industry, from minute processes through to massive haul truck payloads and warehousing and maintenance activities are measured, tracked, and stored. ERP software helps many miners deal with these issues and gain both a granular and wider view of their operations. However, due to the mass of data this generates, coupled with the remote nature of many mines, the need for systems that can deal with level of data while providing multiple access points such as mobile and web is high. Rio Tinto’s global business services head Scott Singer explained it has had a number of issues with its digital data management, and the need for cloud and web based applications. But this problem doesn’t just affect the majors, from explorers through to mid-level miners as well as their suppliers, all face the issue of dealing with multiple complex business processes throughout a multi-tiered system, with much of it now occurring over many sites all interlinked over the internet. Dealing with all these factors can cost a business dearly if it not ready or able to adapt to the changing nature of the market. According to Sage Business Solutions managing director Mike Lorge a recent study carried out by Sage in Europe and North America showed “midmarket companies with improved data accessibility, quality, intelligence, and usability can expect approximately 35 per cent more incremental revenue year over year than lower-performing companies. Importantly, the program has scalability allowing the response to grow or contract as work progresses, giving businesses more options as they develop projects or wind down certain operations. 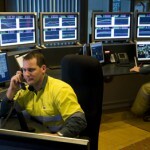 “The primary focus of developing the new version – which is focused predominately on the mid-market space- was integrating next gen user interfaces; making it web based and device agnostic, and really using the BYOD trend, as we see more consumer trends entering the business software world,” Lorge told Australian Mining. The new X3 system provides a next generation alternative to Excel spreadsheet systems that many workplaces still use, with the program featuring embedded workflow, integrated businesses intelligence, easy-to-use dashboards, and device independent reporting, which allows for remote access and a BYOD style of operation as well as on site and in the field applications, as it can be used with iOS, Windows phones and most Android devices. It also allows for global management capabilities, giving operations with multiple sites or global offices, greater integration of workflows. The software has already been picked up by project and engineering design firm Saitec Australia, which is integrating ERP X3 throughout its business, into its analysis and reporting, financial accounting and management control, and operational management in areas such as production, purchasing, sales, and inventory. Importantly, it also gives added support in terms of traceability and tracking of compliance and controls, helping businesses to ensure their entire supply chain from start to finish complies to regulations. Sage Business senior vice president for AAMEA, Keith Fenner, told Australian Mining the new ERP provides a lot of flexibility for businesses. “For instance, the agility it allows for operators in monitoring and controlling their stocks. 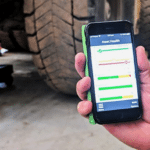 As it has an overview of the many different facets of an operation the system can scrape sales, purchasing, and stock information, showing an increased sale of certain parts, compare that against existing stock levels, and that present this upcoming inventory issue,” Fenner said. “One major miner has adopted it and within 30 days of using X3 for inventory administration they freed up a number of efficiencies, and had a greater visibility as well as better stock/procurement management. On top of this it brought in the concepts of seasonality to their supply chain and provided forecasts for likely demand, which was all based off of existing stock plans. “These operators are able to now get a granular analysis using X3 version 7, using big data,” he said. This also allows for more predictive, rather than reactive, business decisions and actions. Lorge added that the latest version of X3 is building the foundation for greater visibility and the ongoing convergence in IT and operational technology currently being seen in Australian industry. “If you don’t have the right architecture in ERP then your business will find it more difficult to keep up with the changes in compliance and regulation and efficiency developments, you need to get it right at this level otherwise it will add unnecessary cost and delays to operations.